Useful for hard-of-hearing patients, this watch alarms by Vibration, Beeping or Both. This watch is for everybody who does not want the world around him or her to know they are on medications. 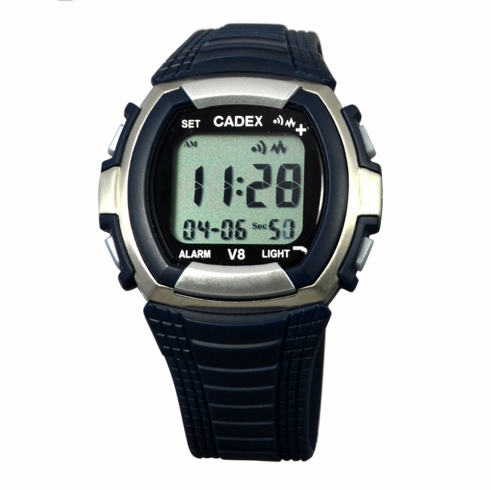 It is an easy to set 8 Alarm medication reminder watch with a large display. �The information exchange prior to placing the order was first class. The vibrating watch met all expectations. I would not hesitate to deal with this supplier again. Well done.� C.C. Size of Face: Watch Size 1 3/4" square x 9/16"